The holiday season of 2009 brought many reasons to celebrate the joyous tidings of family and friends. Starting with Friendsgiving and Turkey Day, the holidays then carried on to Christmas and ringing in the the New Year at Jay's Bay. I guess it is time to make sure I capture the Christmas bites and boozes on the blog, so here is the best of Christmas Eve and Christmas Day! The Yule Tide Joy got started on Christmas Eve at Mama and Papa Ford's house. It was rather quiet compared to many Christmas Eve parties at the Ford's, but I still got to see most of the family, including Brayden for his first Christmas. 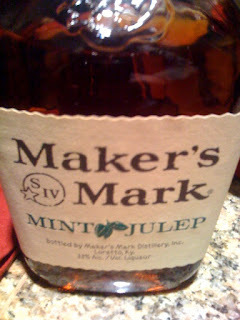 Collin introduced me to Maker's Mark Mint Julep, a Kentucky Bourbon with mint julep flavors already mixed in. All I had to do was serve it over ice and enjoy! Having had authentic mint juleps, I was fairly impressed by the bourbon and the taste that it delivered with no extra mixing. Strong, yes, but also very tasty. The mint julep reminded me of Christmas and it sure seems like it would make for a great drink any time of year! 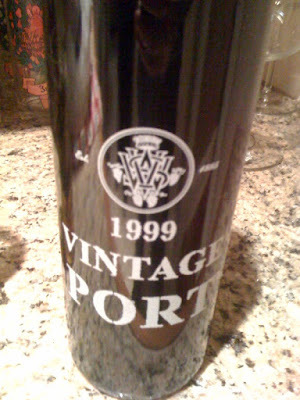 This Vintage Port came from one of my favorite wineries that we visited in Napa Valley in 2008, and Collin kindly shared with the group for Christmas Eve. 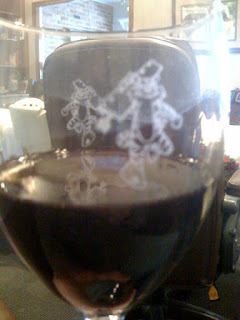 The V. Sattui Winery makes a lot of spectacular vino, and this Port is no exception. Having been to Porto, Portugal and tasted the real stuff straight out of the barrel, I can say that V. Sattui knows what they are doing when it comes to making fortified wine. 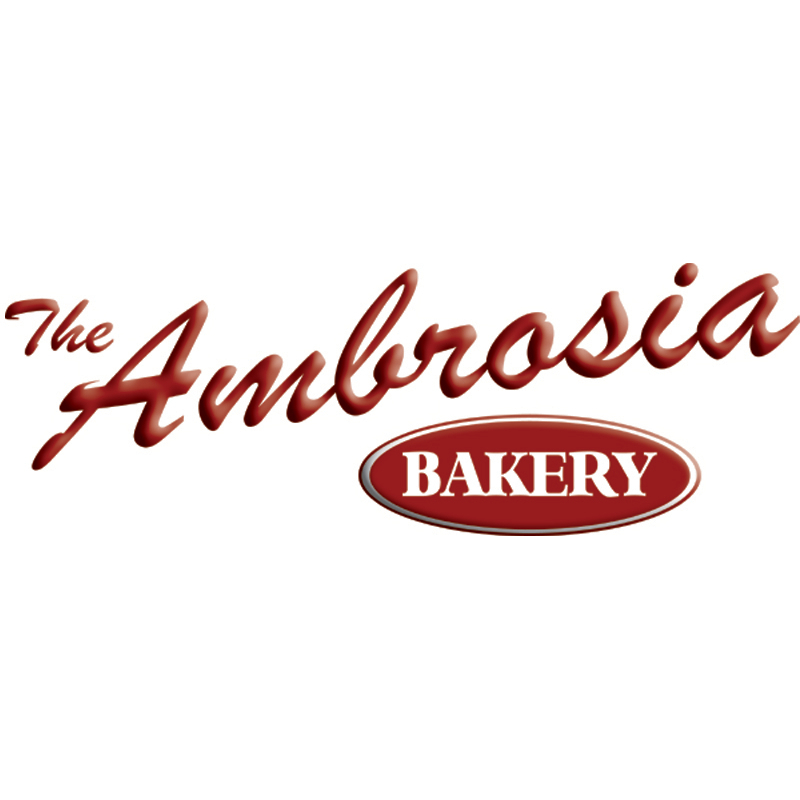 This beverage is delightful when sipped by itself, along many different food pairings, or as a savory dessert itself. My main contribution to dinner was this Christmas goose that we killed during our duck and goose hunting trip earlier in the month. I brined the goose over night in some great flavors then Christmas morning I seasoned the goose inside and out with sea salt, black pepper, white pepper, brown sugar, and a couple other spices. 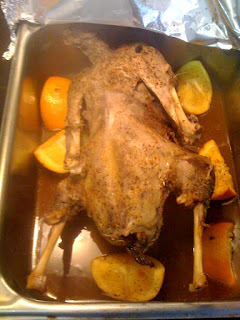 I also used a lemon and an orange to help add some flavor to the goose. 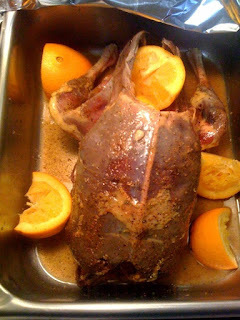 The juice from the fruits got squeezed out all over the goose and then I stuffed the cavity of the goose with the remaining citrus. I covered the pan in foil and put it in the oven at about 250F for several hours until the meat became tender and started to pull from the bone. Not bad wild game, if I may say so myself. My father supplied our Christmas dinner with a selection of wines from Kendall Jackson. Certainly not my first choice, but I'm rarely picky when you put something in front of me. I drank the Cab until it ran out and then switched to Merlot. Both were very drinkable, though much like a macro-brewed beer, it was nothing to rave about. Uncle Rush kindly cooked an entire ribeye for the dinner and sliced it at the house. The medium-rare beef had a magnificent marbled consistency and a tender taste that was every bit as mouth-watering as it was beautiful to look at. 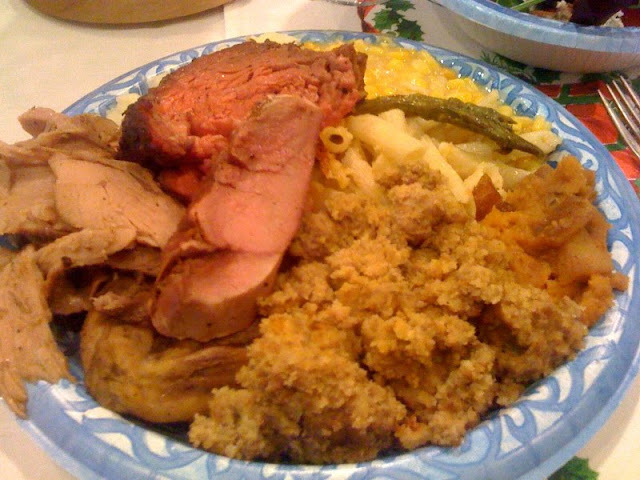 Christmas Plate... We're So Classy that We Used Paper! Yes, the Ducote family is clearly a protein and starch group! I'm glad I also cooked up a little asparagus to add the slightest amount of green to an otherwise plate of pink and tan hues. 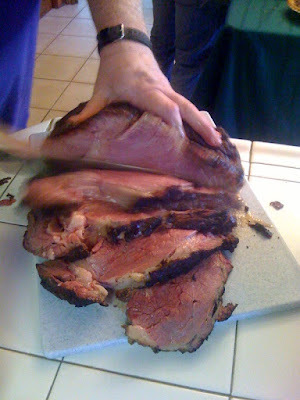 In addition to the previously mentioned goose and prime rib, Travis also cooked up an entire smoked ham for us to enjoy. We were also graced with Dana's mac and cheese, some sweet potatoes, and several other items that are buried under the mountain of meat. But like any of our family's holiday meals, it would not be complete without Granny's cornbread dressing! 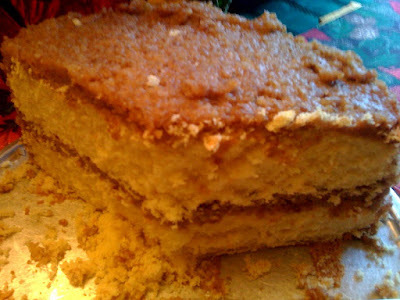 If there is one thing that Granny does better than cornbread dressing (okay, two things because I'd put her pecan rolls up there too), it is her famous pecan cake. This traditional, moist, yellow cake is layered with a homemade pecan icing that brings me back to my childhood. Every bite is a perfect combination of cake and nutty-sweet flavor that I find myself craving between holidays and birthdays. I certainly ate and drank well over Christmas thanks to my family and friends. Feliz Navidad!